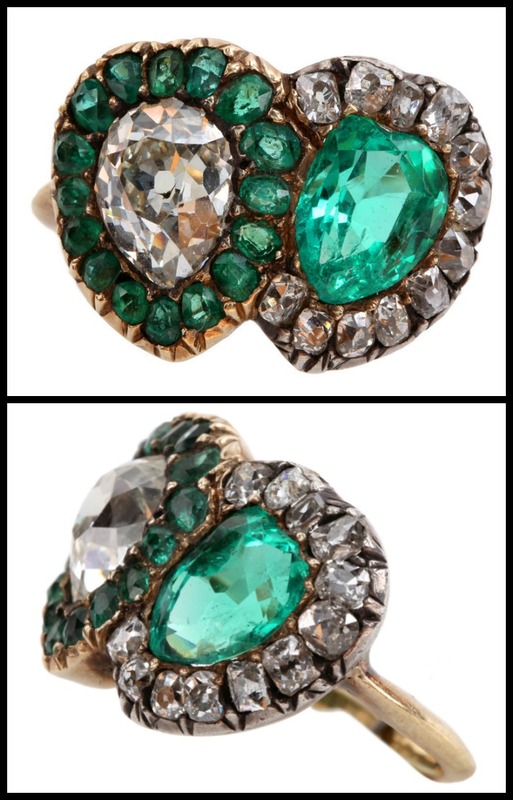 You are here: Home / Jewelry / Ring roundup: colorful antique rings. Ring roundup: colorful antique rings. Alternative title: rings I would already be wearing if I could afford them. I can’t even with these colorful antique rings. They’re too amazing. Please join me in admiring this selection of charismatic beauties. 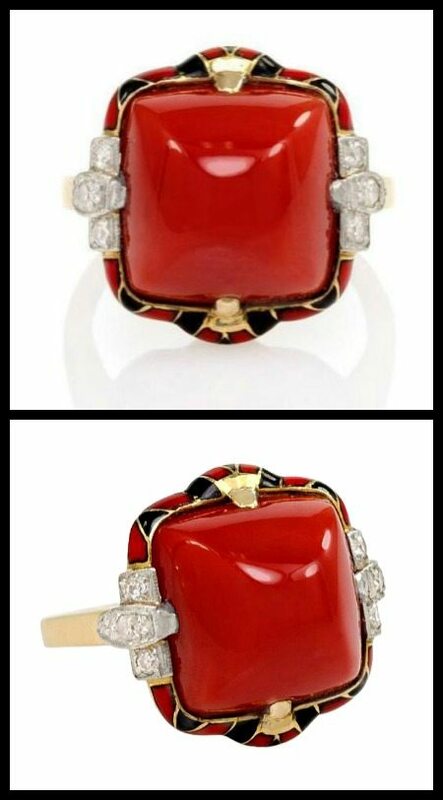 I can’t even handle this Art Deco coral, diamond, and enamel ring. The color!! I spent a few minutes looking at my bank account and trying to do some math before I decided to share this one with you. Victorian gold with Persian turquoise and a rose cut diamond. Stunning. How marvelous is this Victorian English twin heart ring? It stars a 1.30 ct pear shaped diamond and 1.20 ct emerald, each surrounded by smaller stones of the contrasting color. Perfection. This one only has a splash of color, but it’s to exceptional to leave out. 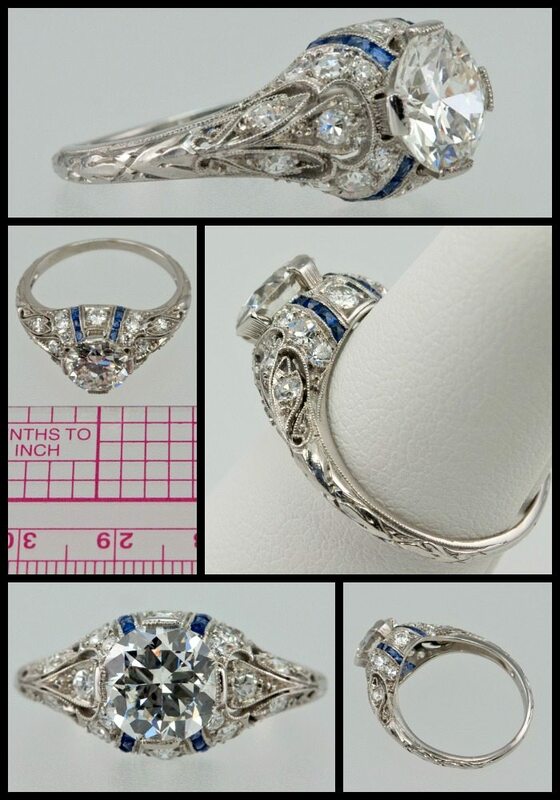 Circa 1915, this Art Deco stunner has a 1.24 carat G-Vs2 old European cut center stone bordered by four channels of french cut sapphires and millegrained engraving. 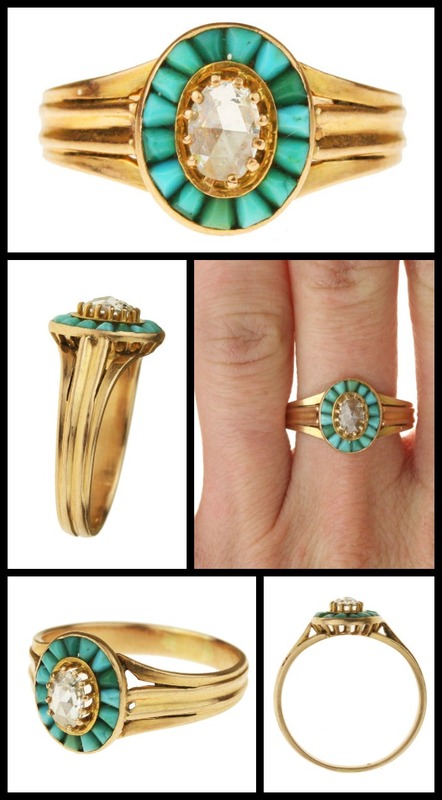 I love the contrast in the second ring — the earthiness of turquoise juxtaposed with gleaming yellow gold and a diamond is really interesting! I love that look too. The Victorians did a lot of turquoise w/ gold and it’s one of my favorite combos – especially since the turquoise they used in those days often had a stronger greenish tint to it, which I think makes it utterly irresistible. I am actually drooling. Lovely, all of them, especially the turquoise one. That is exactly how I feel. I have a particular weakness for the turquoise, too. If I had to choose just one, it would be that one or the double heart. Or the coral. Heh. <3 that coral ring! Just gorgeous! Isn’t it wonderful? So bold and eye-catching.